Diabetes is a condition that involves high blood sugar (glucose) levels. This can affect many parts of the body, including the eyes. One of the most common diabetic eye diseases is diabetic retinopathy, which is also a leading cause of blindness in American adults. Diabetic retinopathy includes several conditions that affect the light-sensitive layer of tissue on the back of the eye, known as the retina. This tissue is responsible for capturing light and passing on images to the brain. Nonproliferative retinopathy. This is the most common type. In this condition, the tiny blood vessels (capillaries) at the back of the eye swell and form pouches. 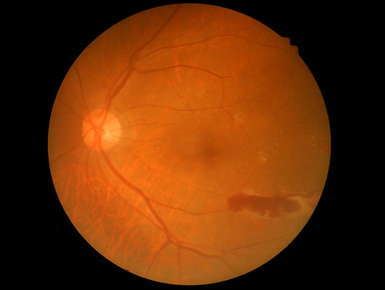 As this condition gets worse, it can starve the retina of its blood supply. Proliferative retinopathy. When the retina doesn’t get enough blood, new blood vessels grow. These tend to be weak and can leak blood, which can cause vision loss or blindness. Diabetic retinopathy can also cause vision loss when fluid leaks into the macula, the part of the retina that is responsible for the sharp, central vision. The leakage of fluid can lead to swelling of the macula (macula edema) and blurred central vision. Diabetics have a higher risk of developing glaucoma than people without diabetes. This risk increases with age and the length of time that you’ve had diabetes. Glaucoma causes pressure to build up inside the eye, often because the fluid in the eye drains more slowly. The increased pressure can squeeze the tiny blood vessels that feed the optic nerve and retina. Over time, this can damage these structures and lead to loss of vision. Cataracts are another condition that affects diabetics more often than non-diabetics. In this condition, the lens of the eye becomes cloudy, which prevents some of the light from reaching the retina. In its early stages, treatment for cataracts may involve the use of prescription lenses. As cataracts advance, however, surgery may become necessary to remove the cataractous lens, replace it with an intraocular lens implant (IOL) and restore vision. If you suffer from diabetes, it is particularly important to keep all your yearly eye exams, so your eye doctor can monitor the health of your eyes. If you notice changes in your vision, contact us immediately, so we can help diagnose and treat any eye conditions you may have.